Tatty Devine is the British design duo best known for its quirky jewellery designs, and now we've collaborated on an equally quirky homewares collection. 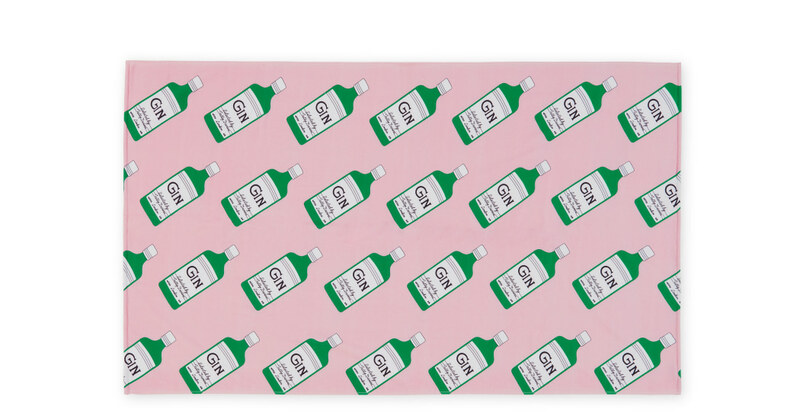 Digitally printed in Portugal with a repeating vintage gin bottle, our Tatty beach towel brings together the designers' unique blend of style and humour. Pink with a white reverse, 100% cotton, 300gsm – take to the beach in comfort and style. For home, the wider Tatty collection includes accessories and a gin bottle cushion. Tatty Devine creates unique, expressive jewellery using laser cut acrylic. 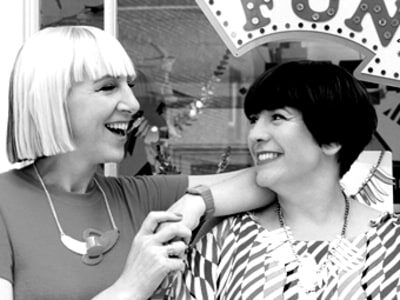 It was founded by school friends Harriet Vine MBE and Rosie Wolfenden MBE in 1999 in the heart of East London. Now, their bold, playful and witty pieces which are recognised the world over are still designed and handmade in house.